Get great sound without sacrificing premium floor space. Get great sound without sacrificing premium floor space. The Klipsch® R-1650-W features a 6-1/2" polypropylene woofer for great mids and bass, plus a 1" dome tweeter for clear highs. 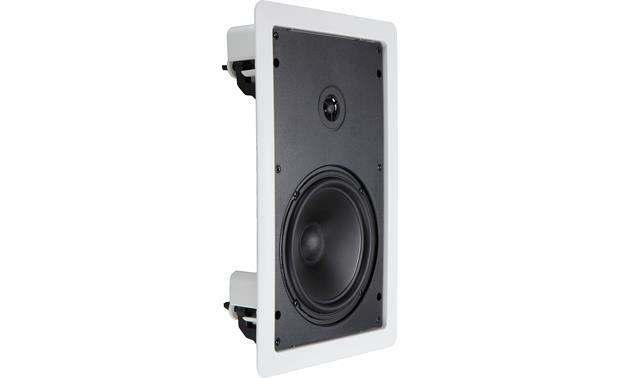 You can mount the R-1650-W in new or existing walls, so you can install it in places where you've always wanted music, but where conventional speakers may not be the best option. These speakers are ideal for kitchen, dining room and bedroom use. Plus they match beautifully with regular Klipsch speakers as part of a home theater system. Moisture resistance delivers more flexibility so the R-1650-W can even be used in the bathroom. And you can paint the grille to blend seamlessly into any room's décor. An optional in-wall bracket is recommended for installing the R-1650-W in new construction (or a room that's undergoing major renovation). Love these can be cut into the wall and painted your wall color! Great alternative to another speaking sitting out! If you want a sleek, contemporary look with crisp sound this speaker is the way to go! Can these Klipsch R-1650-W speakers be installed into a regular 2X4 wall? Thanks for your reply. Yes, they can be installed in an existing drywalled 2x4 wall or done so before drywall is installed on new builds. 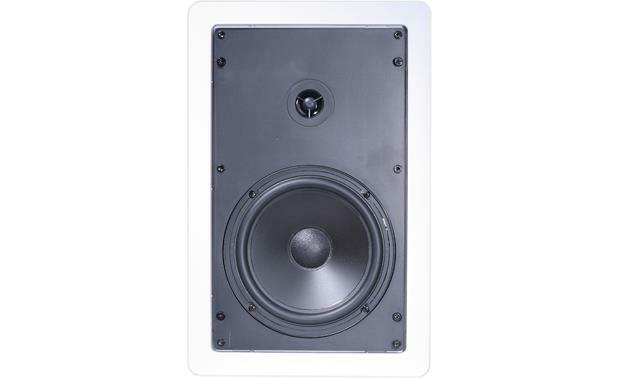 Two-Way Design: The Klipsch R-1650-W in-wall speaker employs a 6.5" polymer-cone woofer and a large motor structure for high sensitivity and strong bass output. 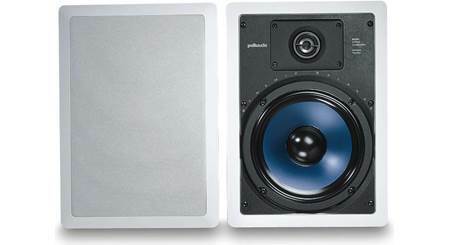 A 1" polymer-dome tweeter distributes smooth, clear highs over a wide area. 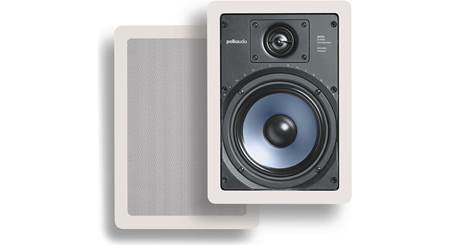 The Klipsch R-1650-W in-wall speaker brings dynamic acoustic performance to both home and commercial environments. Basket/Frame: The R-1650-W has a sturdy ABS basket and frame. The frame can be painted to match any decor (a clear paint mask is supplied to protect the drivers from overspray). 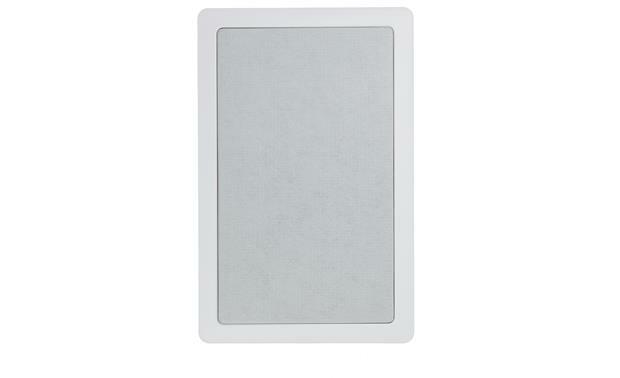 The aluminum mesh grille is also paintable. 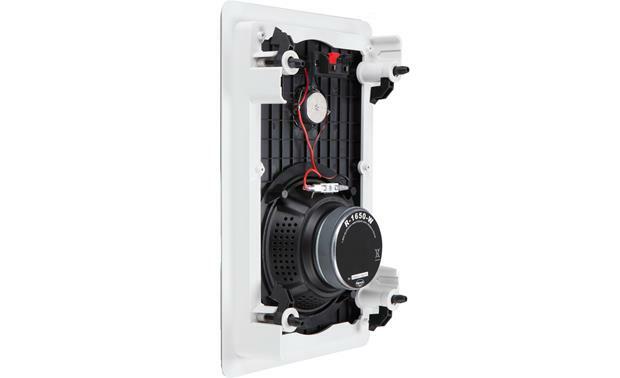 Spring-Clip Terminals: The Klipsch R-1650-W in-wall speaker features two spring-clip terminals which will accept either bare speaker wire or pin-connectors. The spring-clip speaker terminals are color-coded (red/black) for easy identification between positive and negative. Installation: The speaker requires a cutout of 8" (w) x 13" (h), with a mounting depth of 3". For existing construction, the speaker should be installed in drywall at least 3/8" thick. A cardboard template is included to assist you in making the cutout. Hi, Is it possible to find only the grid? 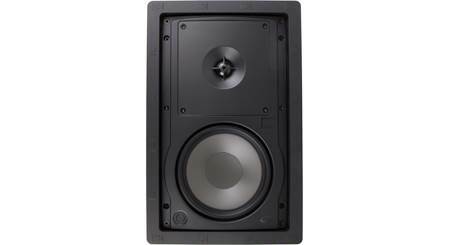 Are the Klipsch R-1650 W in wall speakers 6 ohm stable? The Klipsch R-1650-W are 8-ohm speakers which would present an 8-ohm load to your receiver or amplifier. Yup, mine were with ease. 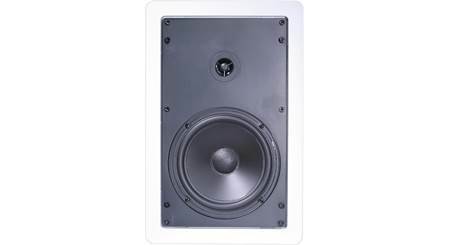 Searches related to the Klipsch R-1650-W In-wall speaker.